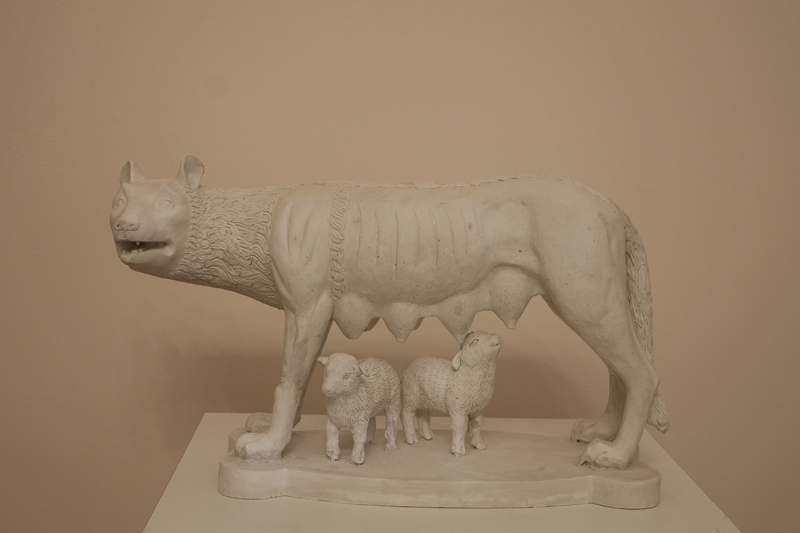 The exhibition “Wolves and Sheep” – is a joint project by curator Vera Pogodina and the State Literary Museum, code-named “Russian reader.” The project’s idea is pretty simple: all the most important and relevant issues in our contemporary life have been reflected some time ago in the titles of the works of classical Russian literature of the 19th century. Modern Russian conceptual art is largely related to the literature and text. Thus, participation in this project of artists from the Moscow’s conceptual school is very natural. The State Literary Museum has held exhibitions like “Fathers and Sons”, “Woe from Wit”, “Dead Souls.” Several previous exhibitions such as “War and Peace” were presented in the Moscow’s Central House of Artists (CHA). “Even a Wise Man got enough dumbness”. We chose the play “Wolves and Sheep”. “Wolves and Sheep”, in our view, is an appropriate title to reflect what is happening in Russia today. There are no positive characters in this play which is very rare for works by Ostrovsky,. All of not so pleasant characters in this play are divided into wolves and sheep. Wolves remain acting as wolves only until there are stronger and meaner wolves arrived to the scene. It is no coincidence that originally this play was called ” Wolf catching a prey but wolf also is a prey “. As in previous projects, the artists will present their perception of a given topic, and not narrative illustrations of scenes from a theater play of the 19th century. The exhibition will feature works by more than thirty contemporary Moscow’s artists from different generations and world’s views that will give on opportunity to see a whole spectrum of trends in contemporary Russian art.